Hiya puddin'! Harley Quinn is a natural for DC's red, white and black statue line! 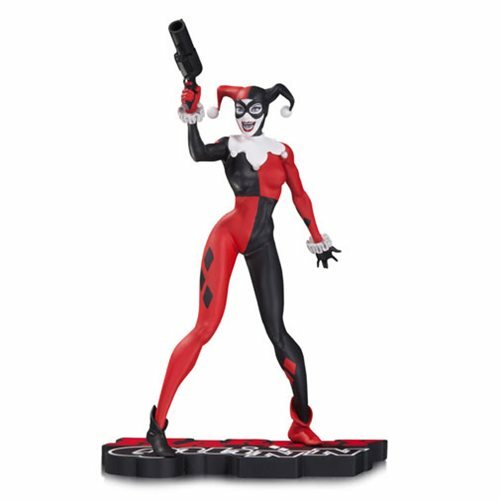 Based on designs by comics superstar illustrator Jim Lee, this Harley Quinn stands approximately 7-inches tall. The DC Comics Harley Quinn by Jim Lee Red Black and White Statue bounces straight out of the pages of Batman: Hush. Ages 14 and up.